There is sharp contrast between the treatment and plight of Arab and Jewish refugees. We are all familiar with the plight of the Arab refugees, most of whom are still living in squalor in crowded camps in Judea/Samaria, Jordan, Syria, and Lebanon. Between 330,000 and 700,000 were displaced by the 1948 War of Independence while another 150,000 chose to remain behind. They have become Arab Israeli citizens, with all the rights and privileges of other Israelis. 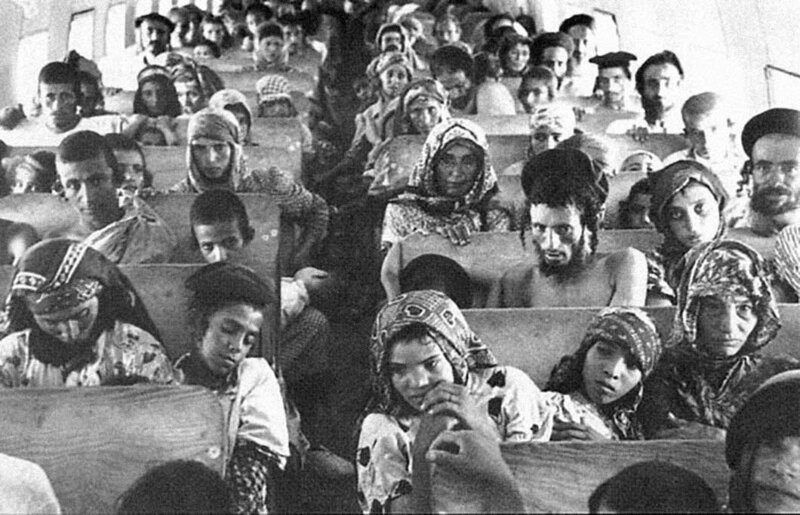 The surrounding Arab countries, with the exception of Jordan, refused to grant these refugees citizenship, adopting the Arab League Resolution 1457, "The Arab countries will not grant citizenship to applicants of Palestinian origin in order to prevent their assimilation into the host countries." This despite the fact that they shared a common language, culture, and religion. To this day they are mistreated, and held as second class citizens among their Arab brothers. The US, EU, Japan, Saudi Arabia, and other countries have poured countless billions of dollars into improving the economic condition of the Palestinian refugees. In addition , the United Nations Relief and Welfare Agency allots more aid per capita to them than to any other refugee group in history. Global Humanitarian Assistance reported that the international humanitarian response from 2002 to 2011 provided the West Bank and Gaza Palestinians with $7.4 billion. Despite this, their living conditions have not appreciably improved. This is because much of the money is siphoned off by corrupt leaders, or diverted toward terrorist projects instead of being directed toward building up the economic and social infrastructure , peace, and stability. Salaries are paid to terrorists serving time in Israeli jails for murder, and to the families of “martyrs” who died in the act of committing terrorist acts. Hamas has diverted humanitarian aid targeted for the rebuilding of Gaza toward missiles and terrorist tunnels. In sharp contrast is the story of the Jewish refugees from Arab lands. 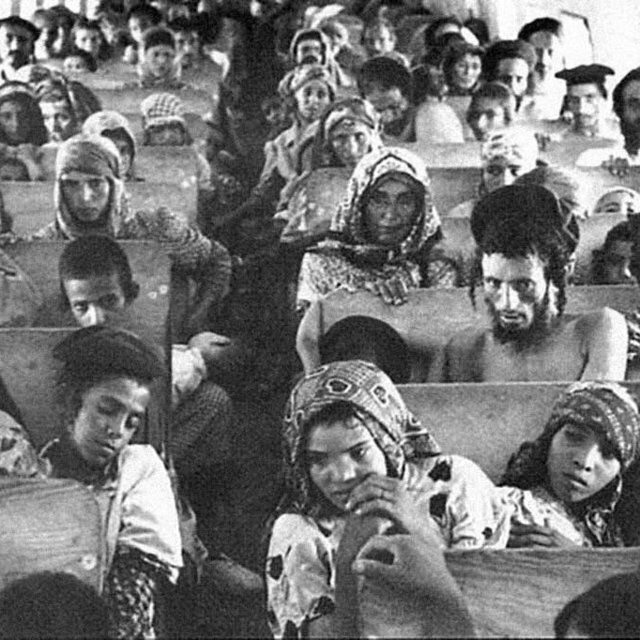 Approximately one million Jews lived in North Africa and the Middle East for hundreds, if not thousands of years. They existed as second class dhimmis, subject to persecution and racial hatred by their Arab neighbors. Just prior to, and after the founding of the State of Israel they had to flee for their lives; their property and resources confiscated by the Arab governments. No compensation was ever given to them, and the United Nations never took up their cause or provided aid for them. Of the 820,000 Jewish refugees, (more than the number of Palestinian refugees) 586,000 were successfully resettled in Israel, despite the fiscal hardships this placed on the struggling young state. Today the Sephardic and Mizrahi communities that have contributed so greatly to the development of the country constitute 25-30% of the Israeli population. As G-d gathers His people back to the Land please support, bless, and defend them. Pray for the peace of Jerusalem and the salvation of God’s chosen people, the Jews. Who Has a Legal Right to the Land?